Jeep Dana 30 Axle parts for Wrangler YJ, Wrangler TJ, Cherokee and Grand Cherokee. 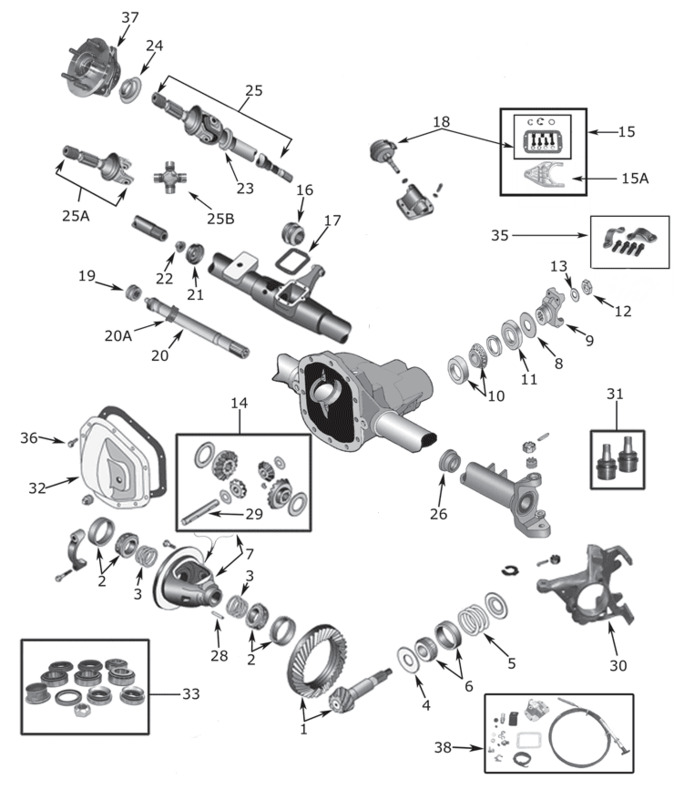 Front Axle Dana 30 Exploded View Diagram 1984-2006 Wrangler, Cherokee, Grand Cherokee. Dana 30 Front Disconnect & Non Disconnect Axle Parts and Accessories 1984-2006. We offer a large selection of Jeep Front Axle parts, including Bearing Cones, Bearing Cups, Gaskets, Seals, Axle Shafts, Locking Hubs, Spider Gears.